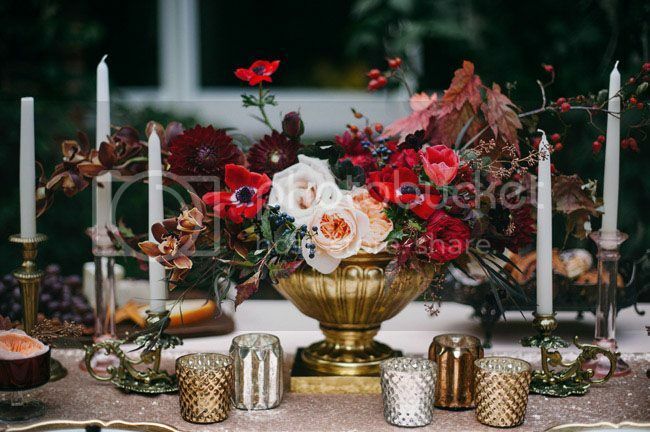 As autumn captures us with its vibrant colors and chilly weather, it’s the perfect time to mix romance and intricate textures to your table for your guests to feast on. 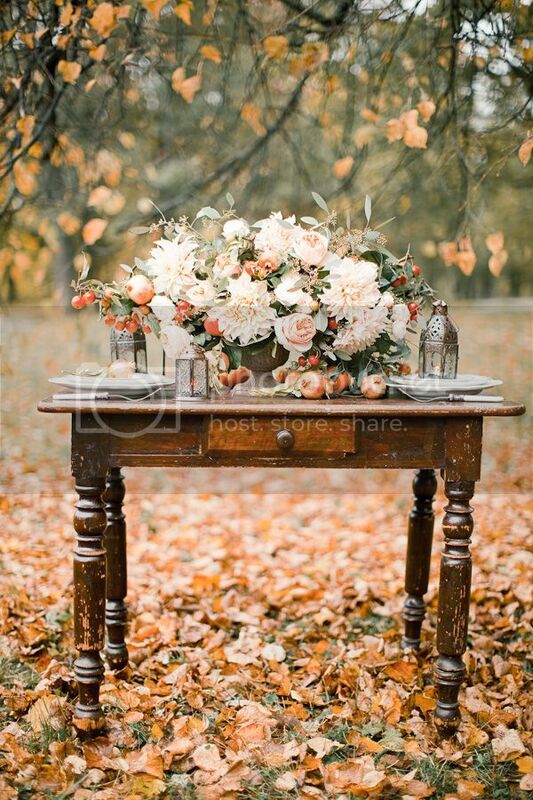 Set a cozy ambience with luscious Autumn wedding table settings. Get your baskets ready and head to your favorite market. Pumpkins, figs, apricots, tomatoes, grapes…local produce is definitely this season’s best accessory. Arrange small crates of fresh fruits or veggies to bring natural abundance to your table. 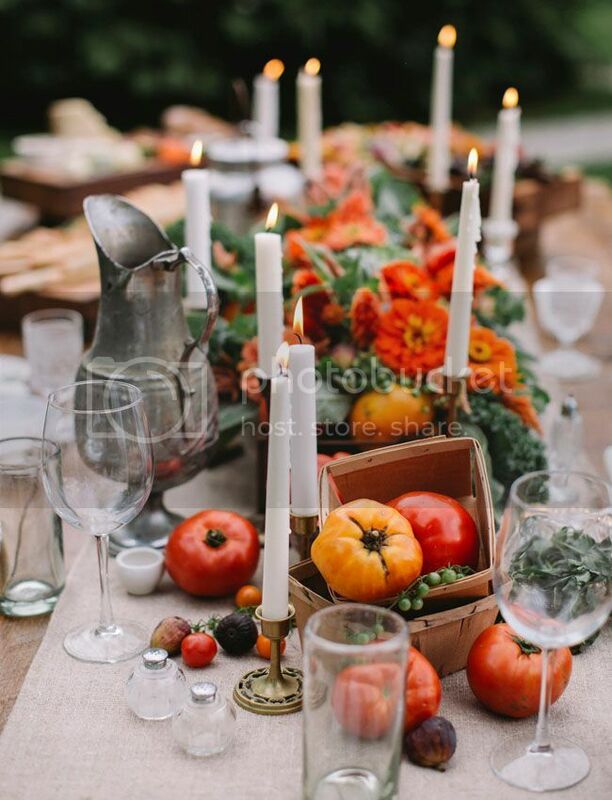 Add white tapered candlesticks and get your guests ready for a night of dining and merriment. Painting pumpkins are not just for thanksgiving anymore. 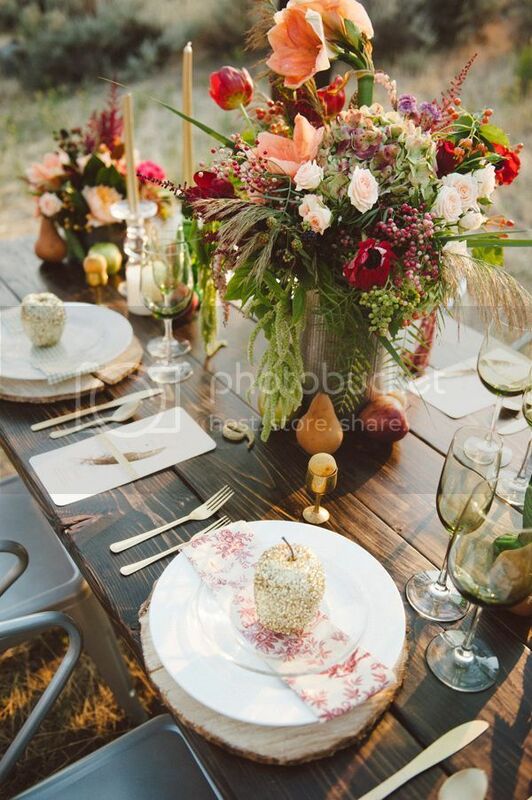 Just like in any season of the year, flowers brings out the best of any tablescape. 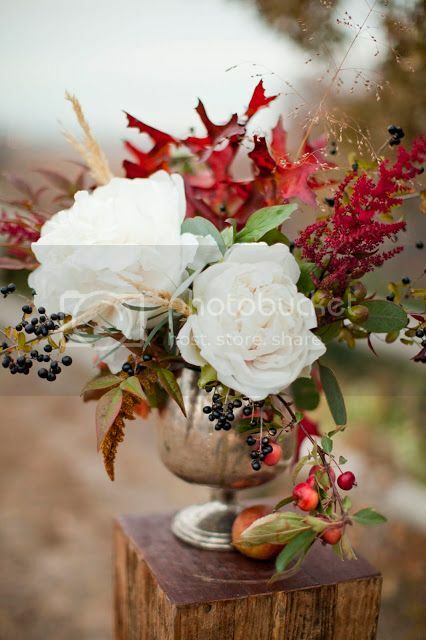 Warm hues of reds, orange and purples is a definite key to showcase the romantic side of autumn. Use wide vessels of gold or silver for add-on depth of glamour. 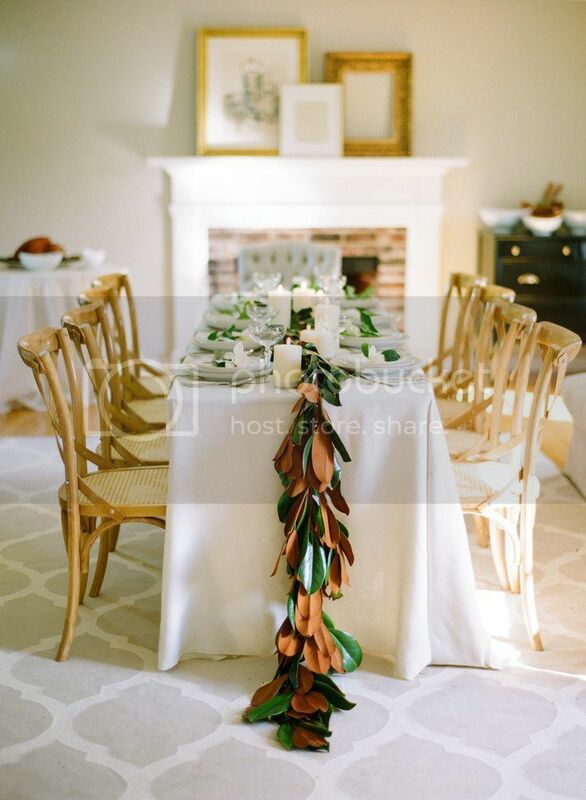 Keep it simple with an elegant table runner garland of magnolia leaves and match it with white pillar candles for that understated look. Just in case you think you still can’t let go of pastel, create a pretty focal point with bursting ranunculus and dahlias mixed with berry branches. Don’t forget to throw in some pomegranate for some added visual interest. There are so many raw elements that captures autumn perfectly. 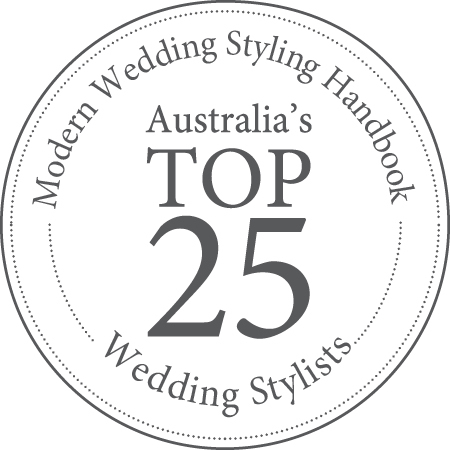 Nod to the season and bring in the outdoors by using twigs, acorns and fallen leaves for an effortless look without breaking the bank. 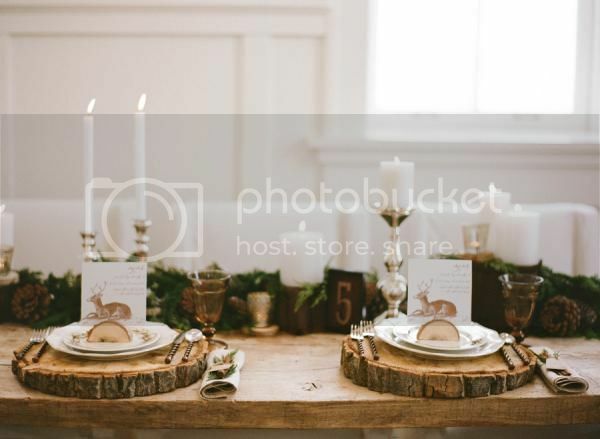 Grab some wood slices and create an organic rustic feel by using them as table chargers partnered with white plates. 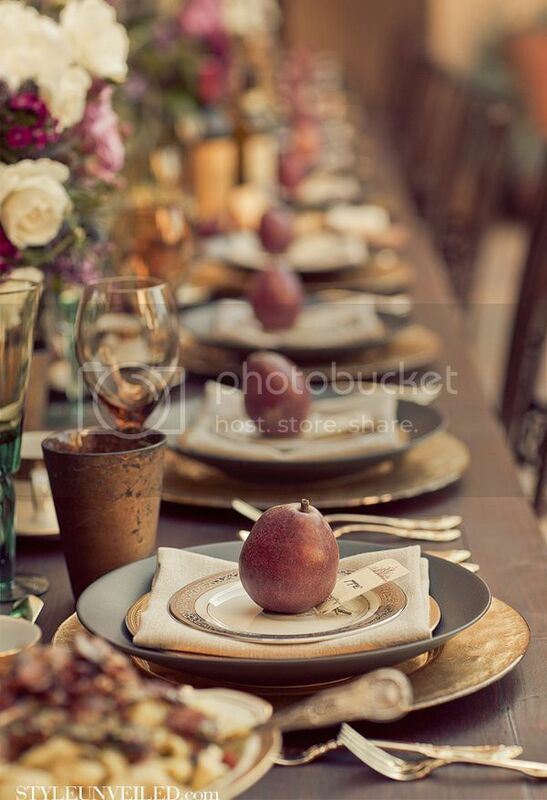 Wooden tables with burlap or hessian runners are the simplest way to say ‘welcome to fall’. 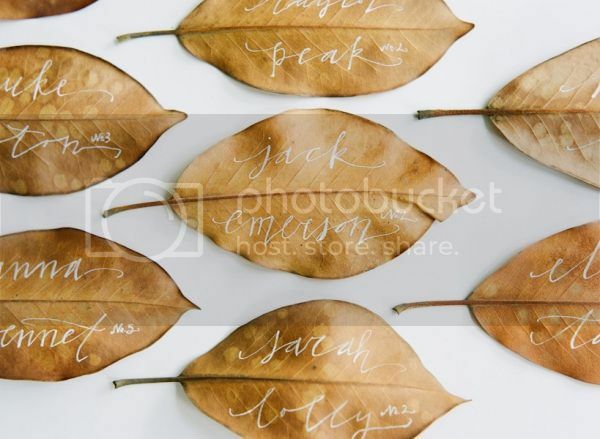 A genius way to use leaves with beautiful calligraphy. 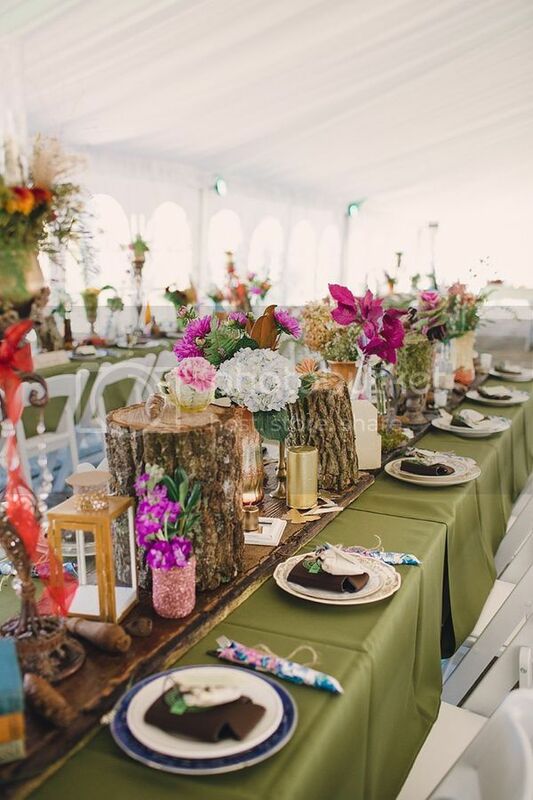 The trees may be brown or red but remember that your table doesn’t have to be. 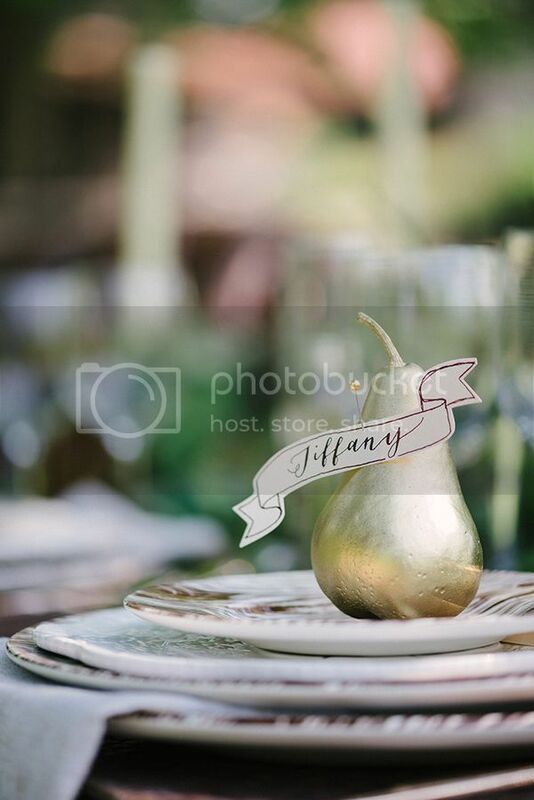 These inspirations will create an amazing tablescape on top of a memorable night of wine glass clinking, eating and laughing for you and your guests. 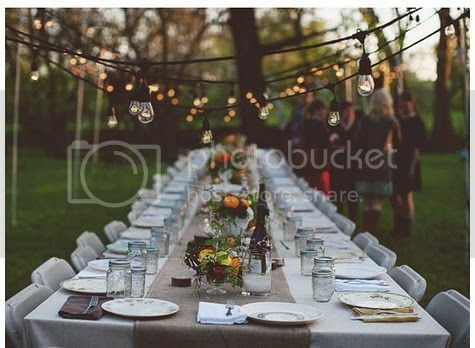 Will you be planning any get-together or party this autumn?